November 26, 2016 By Chelsey Leave a Comment This post may contain affiliate links. Read my disclosure policy here. 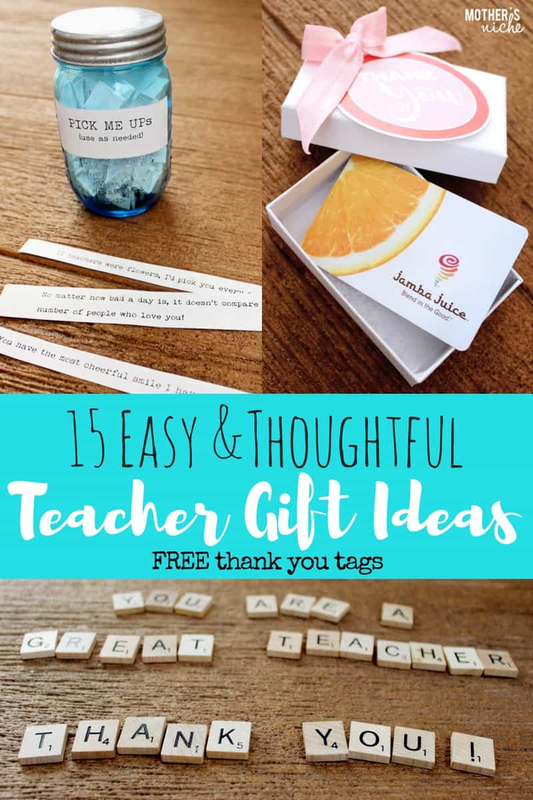 These teacher gift ideas are part of the #LIGHTtheWORLD initiative. 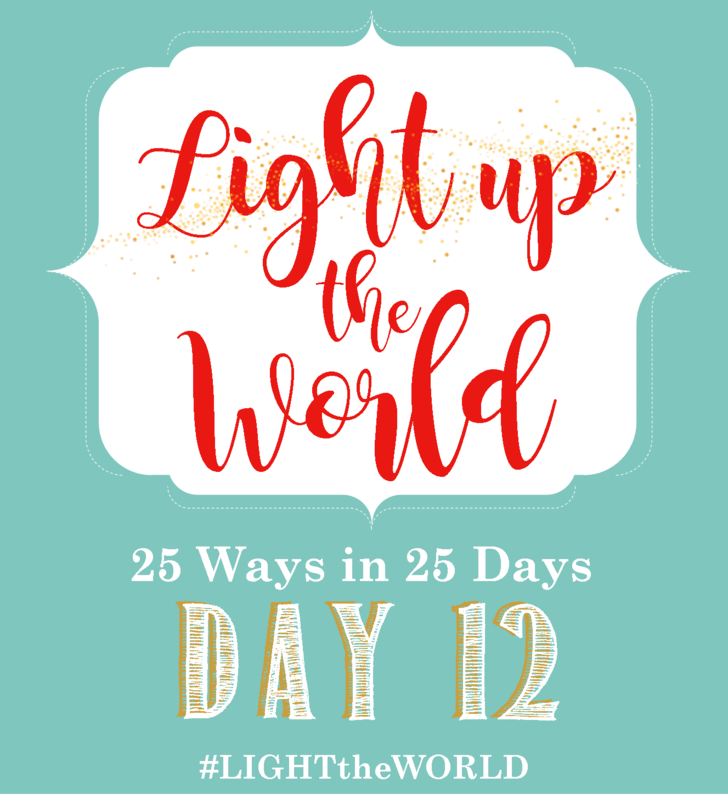 This day’s theme, is “Jesus Taught Others” To see the themes for the other days, see: LIGHT THE WORLD: 25 Ways in 25 Days. 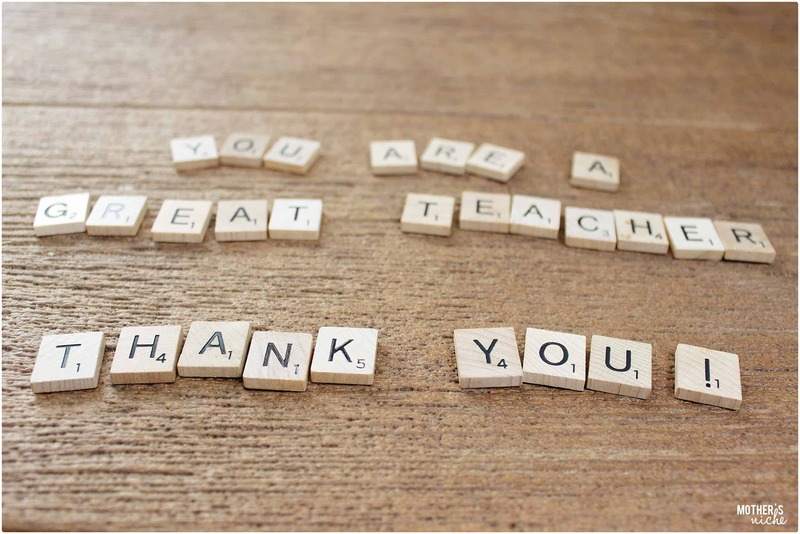 As part of today’s theme, we are showing appreciation and love for the TEACHERS in our lives! I know a lot of teachers. Friends, family, and many of my own kids’ school teachers. I have asked many of them what they like for gifts. You know teachers get gifts pretty often. 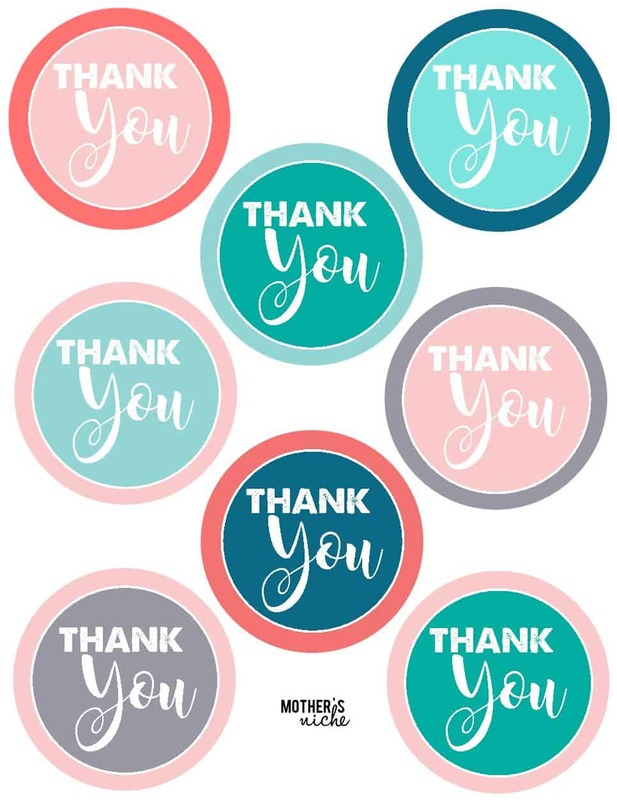 Beginning of school, Christmas, End of school, teacher appreciation week etc… When I asked what their favorite kind of gift is EVERY ONE OF THEM said they like things that are useful and personal. Some of them also mentioned that because of the limited space in their classroom they prefer any decorations or desk displays to be on the small side. 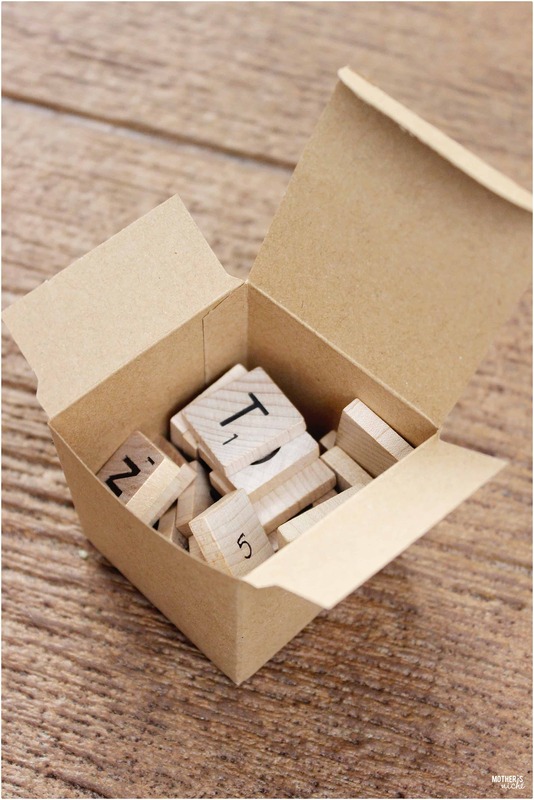 I have come up with a list of simple but thoughtful gifts that kids can make with you. POEM: Have your kids write a poem. When my oldest daughter was in First Grade she gave the teacher a poem that she wrote about her. Her teacher loved it. She even framed it and put it on her file cabinet and it has been there for 3 years. SUCCULENTS PLANT: These little beauties need very little attention, are very small and brighten up any desk. FAVORITE TREAT: Ask your teacher what their favorite treat is and wrap up their surprise. MOVIE TICKETS: Get a gift card for a couple of tickets to a local theater. Throw in a popcorn voucher or two. Teachers need a night out. CANVAS TOTE BAG: Teachers always have things to carry. Papers and tests to grade, so get them something to carry it in. You can even personalize it with their name. THROW BLANKET: Find a nice knitted throw blanket they can wrap up in while they grade their late night papers. 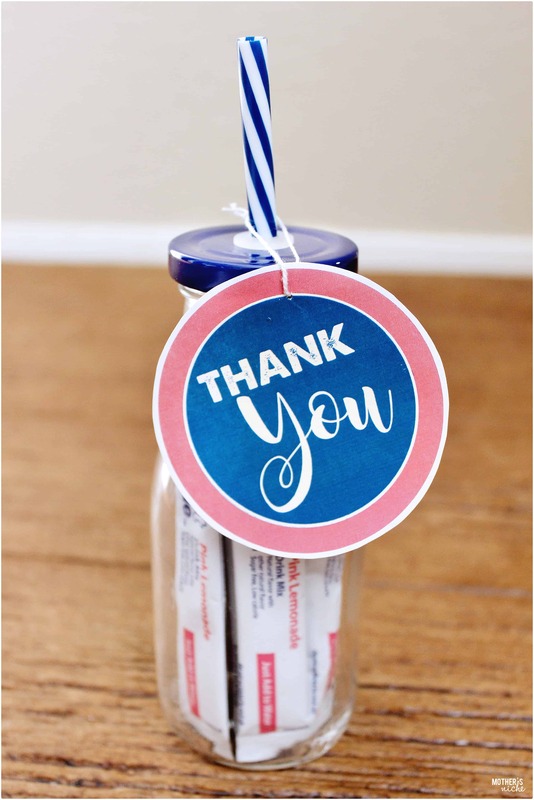 LEMONADE: Get a little milk bottle and fill it up with single serving lemonade packets. I love these. And your teacher will too. 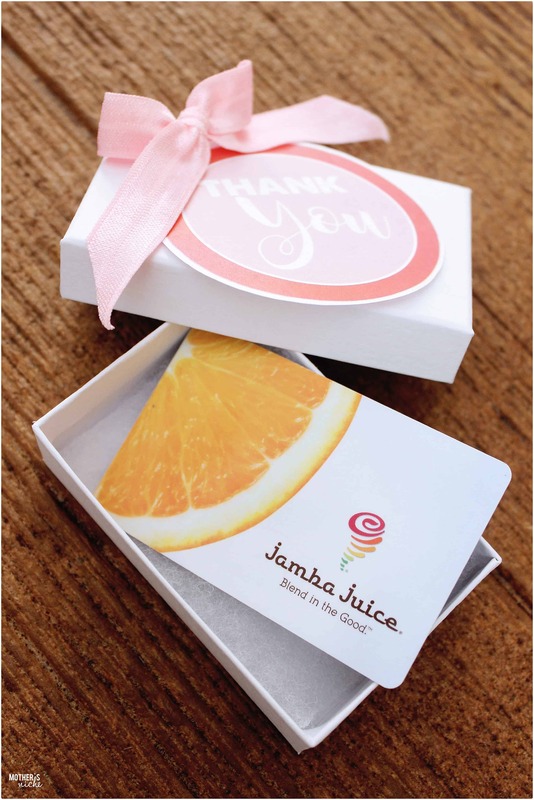 GIFT CARDS: Think about your teacher. Have you heard her mention a favorite restaurant, cafe, or ice cream shop? We overheard my oldest daughter’s teacher, mention that she loves smoothies when talking to another teacher after a parent conference. A GOOD BOOK: Nothing like relaxing with a good book. 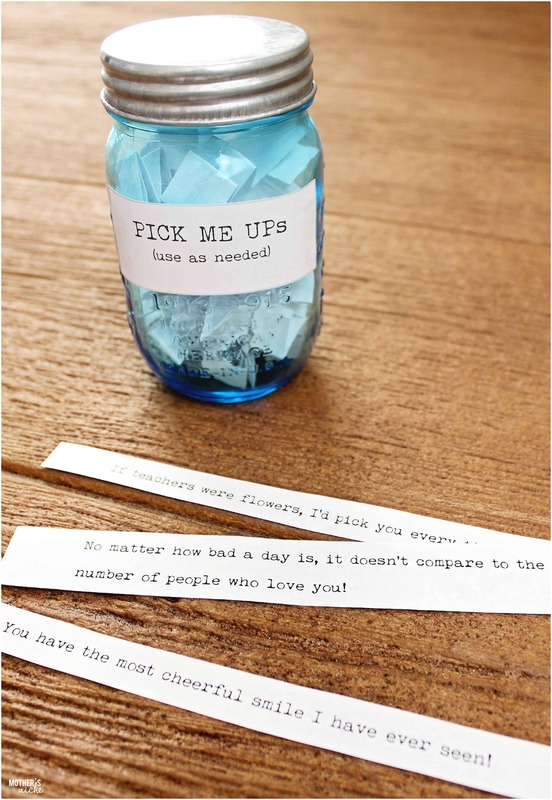 Buy a book and you could even make a bookmark to go with their book. A HANDWRITTEN CARD AND PICTURE: Who doesn’t love the sweet words and art made by little hands! HAND SANITIZER LOTION: I LOVE THIS STUFF! Keeps the classroom germs off and keeps your hands moist.